The premium two sided Oklahoma State University garden flag is one ply and right reading on both sides. 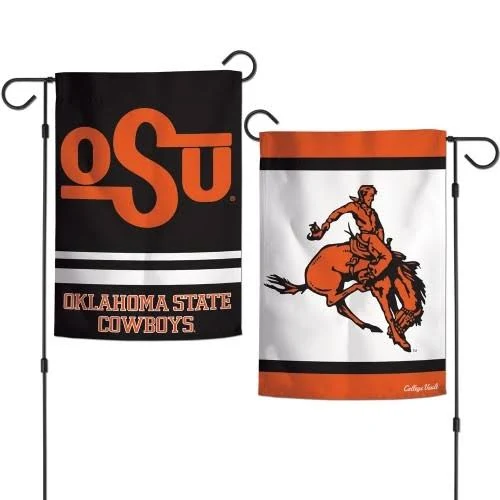 Sharp unique OSU Cowboys vintage throwback team graphics on both sides for two flags in ONE. It is soft to the touch & printed in the USA. Perfect outside in the garden or flower bed (garden stand sold separately), while it works great inside to decorate your office cube or man cave. Size: 12.5 inch wide x 18 inch long Size: 12.5 inch x 18 inch.